I’ve been lucky enough to visit Canada a total of 6 or more times, and finally over Easter I made it to Québec, to sample some Québécois food, culture and language! 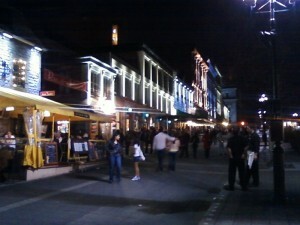 And it truly is like visiting a slice of Europe in North America! Montréal is a large modern city, and in my short stay there, I felt on many streets that I could easily have been in Chicago or Toronto. 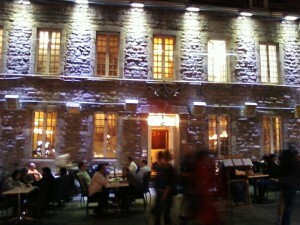 But the old town, down by the port, has a very European feel to it. 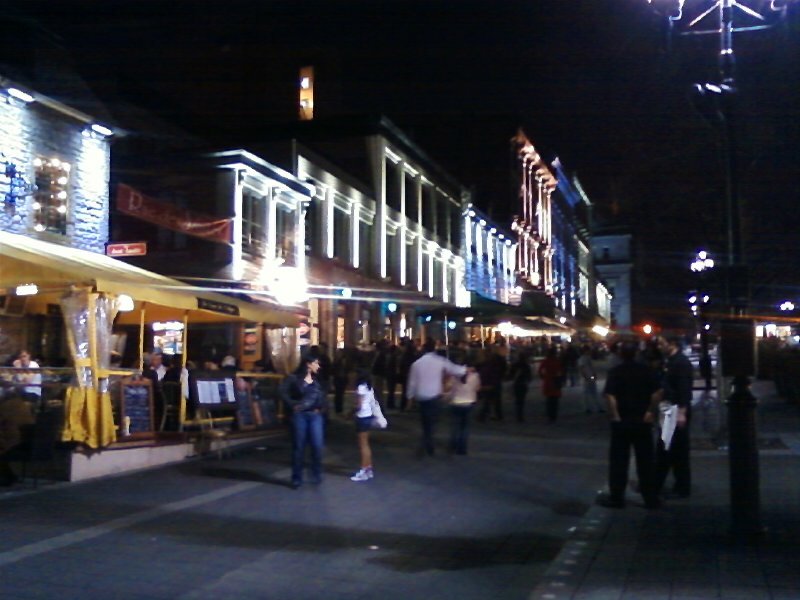 As we ate dinner at a sidewalk restaurant, couples, groups of friends, and families took their evening stroll down by the water, enjoying an unusually warm spring evening. French was the language most in evidence, although we heard snippets of conversations in Spanish, English and, hmm, was that Polish or Czech? 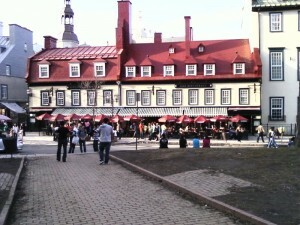 A mere 3 hours from Montréal by train, Québec City has by contrast a uniquely European feel. Encircled by medieval walls, and with 95% of its population speaking French, this is like no other city in North America! It feels and looks much more like an historic town somewhere in the middle of France. Sure, it’s touristy, but the natives are very friendly, and it’s a great place to explore! 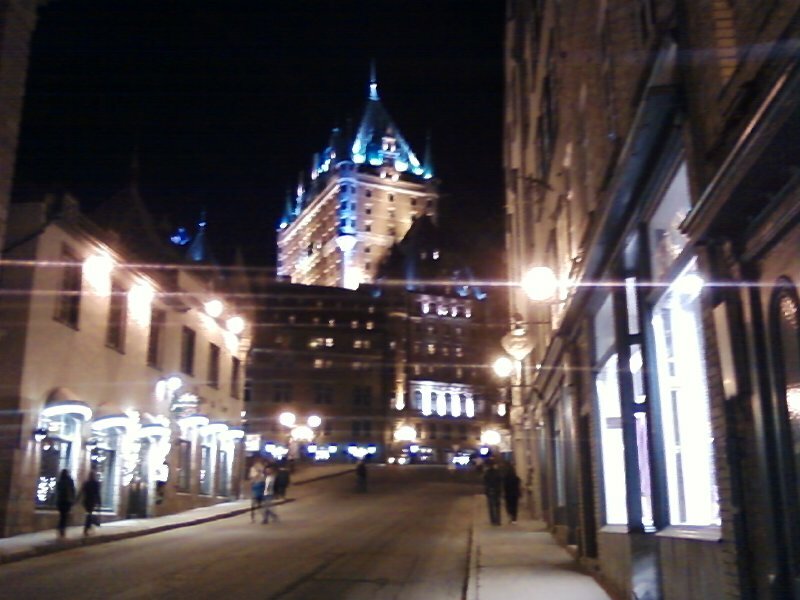 The Chateau Frontenac may be a bit of a splurge, but its imposing presence and elegant comfort in the heart of the city makes it a great base to come back to after a day’s exploration. 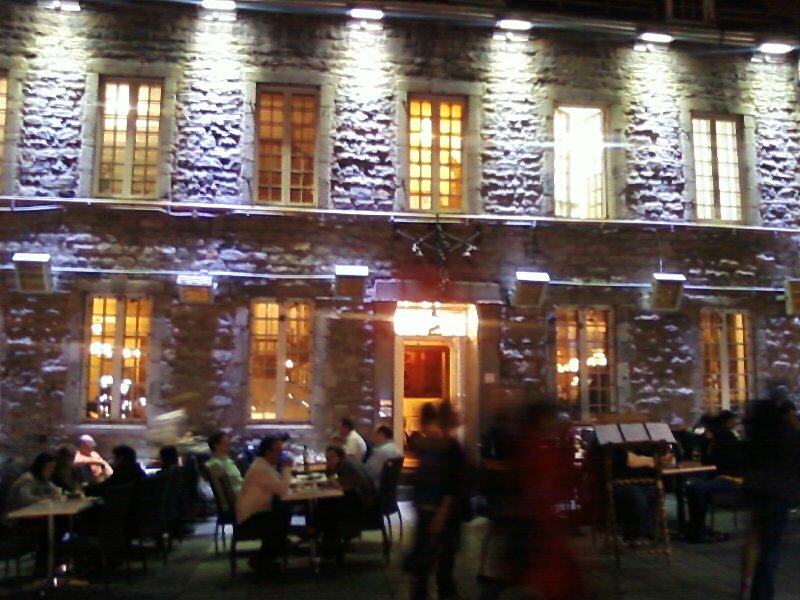 And if your travel budget won’t absorb a stay in one of its historic rooms, then at least soak up the atmosphere of the St-Laurent bar, with a panoramic view of the St. Lawrence River.